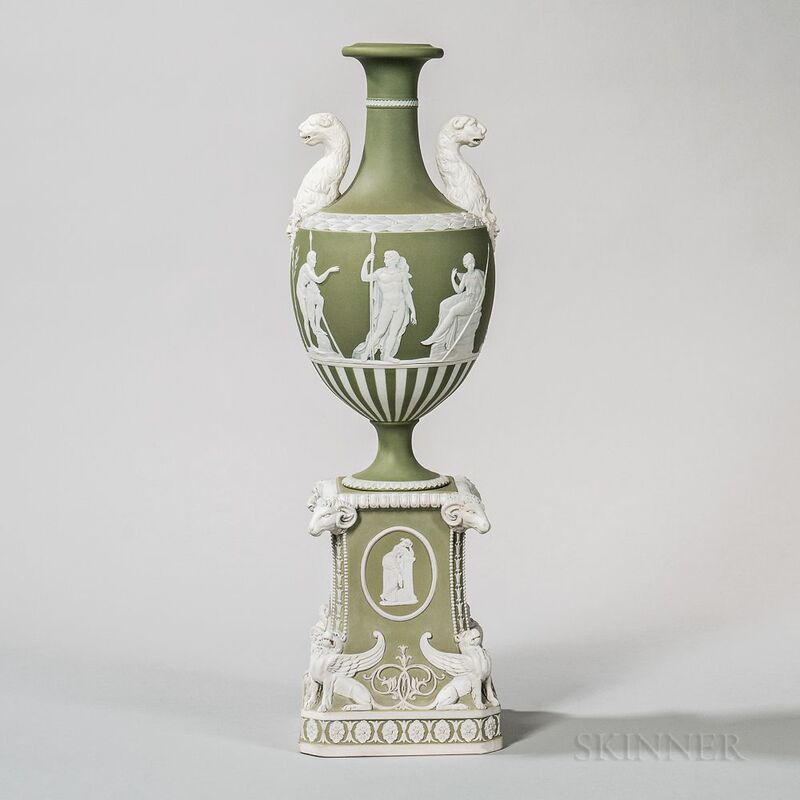 Wedgwood Green Jasper Dip Vase on Pedestal Base, England, 19th century, applied white relief with leopard handles above a classical frieze depicting Hercules in the Garden of Hesperides with an engine-turned border, mounted atop a square tapering base with ram's heads to shoulder, griffins to base, classical figures within oval medallions to paneled sides, impressed mark, ht. 24 3/8 in. 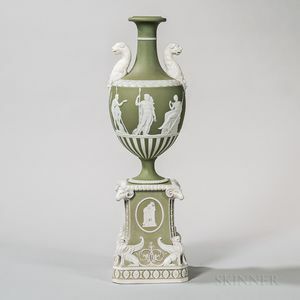 Restorations to handles, socle, ram's heads and griffins. Sizable chip along top rim of socle.